Welcome to our student blog! Be sure to check back here frequently so that you catch all of the latest blogs from our students. We hope that you enjoy all of our articles! In this blog post, 11th grader D.J. Fiason describes the process of writing a blog and offers tips to fellow blog writers. In the latest blog post entry, 11th grader Riley Johnson offers her thoughts on being a year-round athlete. In this blog post, 11th grader Becky Kratz facetiously describes her tips to students for staying warm during the winter months. In this blog post, 11th grader Allison Humenansky introduces Bayshore's upcoming production of West Side Story and comically describes some of the challenges involved with theatre productions. In this blog, Thomas Lake, a junior, offers his thoughts on national championship week. The latest blog entry is Olivia's thoughts on school uniforms. The latest blog entry comes from Ms. Emmaleigh Tucker, a 10th grade student. Emmaleigh began at Bayshore in the eighth grade and is a wonderful young woman. 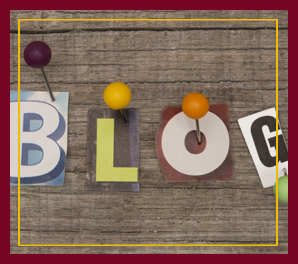 Welcome to Bayshore Blogs…a blog of student musings, accomplishments, and dreams. It is a privilege to be the head of school here, and I look forward to sharing the heart of our students and our school.